More information can be seen here. 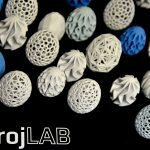 We participated in the first Maker Faire in the Czech Republic, where we presented strojLAB, the first university in the Czech Republic, and FabLabNet network through presentation and exhibited prototypes, created under support of strojLAB. A bicycle frame printed on a 3D printer, large-format 3D printers but also a formicarium or a board game where players shoot at the game-board squares with a miniature catapult – these are some of the prototypes created by students of the Faculty of Mechanical Engineering of the Brno University of Technology during the first year of the operation of strojLAB, the only university FabLab in the Czech Republic. On Friday, April 6, the students introduced their prototypes at the University 3D print festival – FabFest. “Last year, when strojLAB was opened, we were curious to see how the students would accept it. It turned out that they had missed such a place at the university and that they really have a lot of creative ideas for innovation using 3D printing and digital technologies. 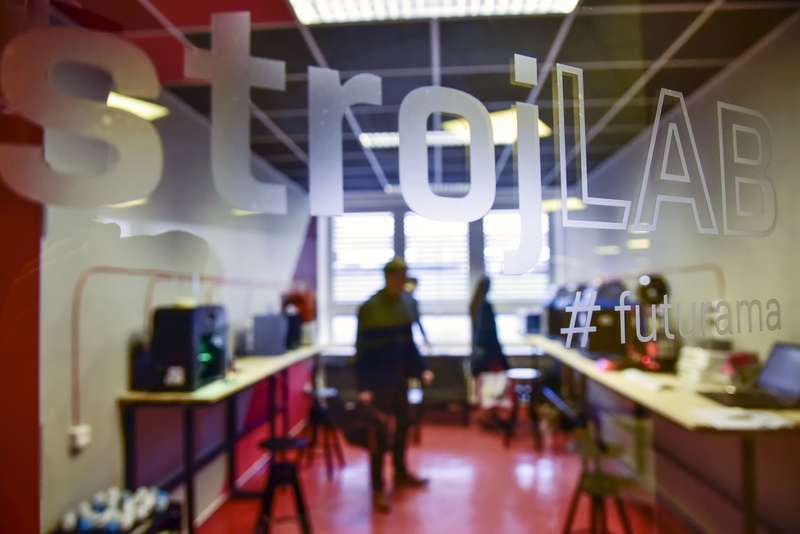 130 students across the BUT registered at strojLAB during the first year of its operation and we believe this number will continue to grow in the future. 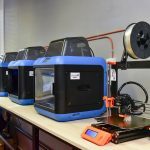 Therefore, within FabFest, we opened a second strojLAB laboratory to give students more room for work,” said David Paloušek, Head of Department of Reverse Engineering and Additive Manufacturing at the Institute of Machine Design. The laboratory is equipped mainly with 3D printers. From the technical point of view, the most demanding prototypes created in the 3D print laboratory were 3D printers which were designed, constructed and tested by the students themselves. One of them was created by Josef Březina. “The development of the large-format printer took several months. My printer is exceptional in having a large printable area, 52 x 52 x 50 cm. Thanks to such a large area, I was even able to print components for a bicycle frame,” said Mr. Březina. And so the road bike belongs to one of the most interesting prototypes which have been created in the lab. The aim of his work was to explore the possibilities of innovation in construction of both devices. In strojLAB, equipment and machines can be also used by people with an interesting business idea. For example, young innovators have created a prototype of an entertaining board game where the dice is replaced by miniature catapults. Also, they have devised magnetic formicariums, i.e. aquariums for ants. “Abroad, fablabs along with hubs and other open workshops are among the places where interesting projects are born and some of them are even able to penetrate the market. The advantage of fablab at our faculty is that the students gain top knowledge since they have the possibility to consult researchers about their projects and they have an opportunity to take a close look at scientific work. You will not find that in another fablab,” added David Paloušek. Registration and use of FabLab is free of charge for BUT students. In cooperation with more experienced users and researchers, they first undergo necessary training and then they may start working on their projects. The students acquire skills to be able to work with a 3D printer, basics of vacuum forming, machining and the most advanced may work with cutting-edge equipment such as the metal 3D printer or the Kuka robot for machining and large-format 3D printing. StrojLAB is also used by student teams which design a Formula or a pneumobile and they compete in international races. 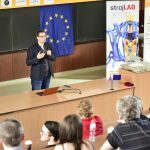 StrojLAB opening as well as organizing the festival was possible thanks to the involvement of the Faculty of Mechanical Engineering of Brno University of Technology in the European project FabLabNet. Since 2016, the project has brought together nine European FabLabs in order to promote shared know-how in this dynamically growing field. Brno University of Technology is the only representative of the Czech Republic and also the only university in Europe involved in the project. Other partners are workshops focused on high-tech craftsmen or designers located in Germany, Austria, Italy, Slovenia, Croatia, Poland, Hungary or Slovakia. 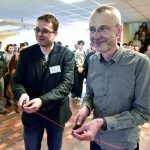 (Czech) Otevírání evropské sítě FabLabů: na VUT do strojLABu!